One of my favorite videos on leadership is entitled, “How to Start a Movement”. It’s a TED talk and it features Derek Sivers narrating a clip where a lone “nut” is captured on amateur video dancing by himself. I call him a nut because he dances with such vigor and doesn’t seem to care how ridiculous he looks or that everyone is staring and laughing at him. He simply dances alone in the crowded park. What happens next changes everything. Another person joins him and starts dancing with him and you can still make the argument that they both look ridiculous but that doesn’t seem to deter them. They continue to dance unapologetically. Soon, several people get up and start dancing with them, and so on, until it’s no longer cool to be the ones who are sitting on the sidelines watching. When narrating the video, Sivers places the emphasis on the first follower. He suggests that it is the person who joins the dancer that is the most important because he turns “a lone nut into a leader” by the sheer act of following. As it pertains to starting a movement, followers are a necessary ingredient because they create the tipping point - the point at which a series of small changes or incidents becomes significant enough to cause a larger, more important change. But before there can be followers, there has to be that one person who is courageous enough to not care about the people on the sidelines ridiculing them. This sounds pretty simple. It’s the same as saying, “Don’t worry about what anyone thinks about you.” And yet, the more I watch people, the more I have come to understand that fear is the single most thing that holds people back from nearly every aspect of their lives - the fear of being judged by others. I’m not fond of aging. I loathe everything that comes along with becoming more and more distanced from youth. That is, except for the fact that with age and maturity, there comes a better understanding that so much of our lives is wasted on worrying what other people think. We may not all get there at the same time, but there comes a moment where the outside noise becomes irrelevant. I have such clarity now as I watch those who spend most of their time criticizing others. The people we fear the most are those who are the outspoken judgers. They are often loud and believable and they don’t miss an opportunity to point out the fallibility in others. They ridicule with contrived intellectual superiority and they hold dominion over the weak minds who follow them. Leaders who don’t use their power for good also have followers. People who are clever and charismatic enough are capable of getting people to stand with them. These people are powerful because they shatter the confidence of those of you who are trying to do good and if you aren’t careful they will break your spirit. Who you choose to follow and why you choose to follow them reveals everything about who you are. Do you simply follow those who can benefit you the most? Or do you follow those who genuinely care about other people more than they care about themselves and put the organization before their individual needs? We need more people to rise to leadership who have their values in alignment with solid principles. That’s a scary thing to ask of someone because for every principle-centered leader, there will be another who rises to ridicule and judge. There is strength in numbers and so we must be the ones who stand with those who use their power for good. If no one is leading, don’t wait for someone to rise up and take charge of the things you care about. Stand up and dance. Even if you have to dance alone for a little while. True, KZ. I suggest that there is one area where most of us are at fault when it comes to leadership. We assume that it - and those we refer to as leaders - are special and separate from everyone else. We expect to be promoted to a leadership role or get a degree that qualifies us for a role in a groups of leaders. As you've suggested often, people who are officially enthroned in special leadership rolls often do really funky things, while the "underlings" are leading the way in spite of the funky official leader. 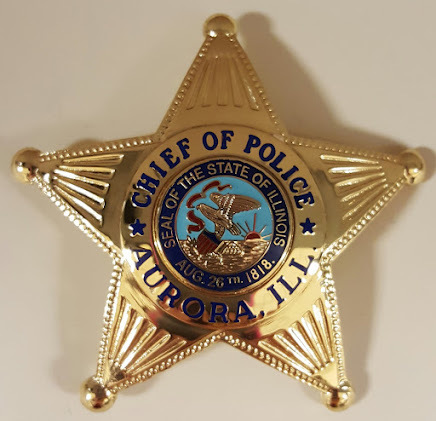 I find it increasingly difficult to take a positive stand on anything - especially in Aurora - without getting slapped around for being a Pollyanna. Just last week a noted Aurora citizen railed against me because I suggested it was most appropriate to treat elected officials with respect. He finds that distasteful because he believes his housing problems are the direct consequence of evil politicians in Aurora. He'd rather call names, insult a politician, and sit on his hands when someone he dislikes is introduced at a luncheon. Another ex-Aurora-politician let me know he's leaving this evil town because the grass is greener in Colorado (that could be a good pun, but that isn't what I meant). As usual, the blame is on someone else. I write for The Voice and focus mostly on health. I once was part of the diatribe tribe in Aurora and it is the easiest tribe to belong to. It is most difficult to be positive when there are so many outspoken negative voices. My next health article is "in the can" and I am fumbling on a non-health piece. That will change.